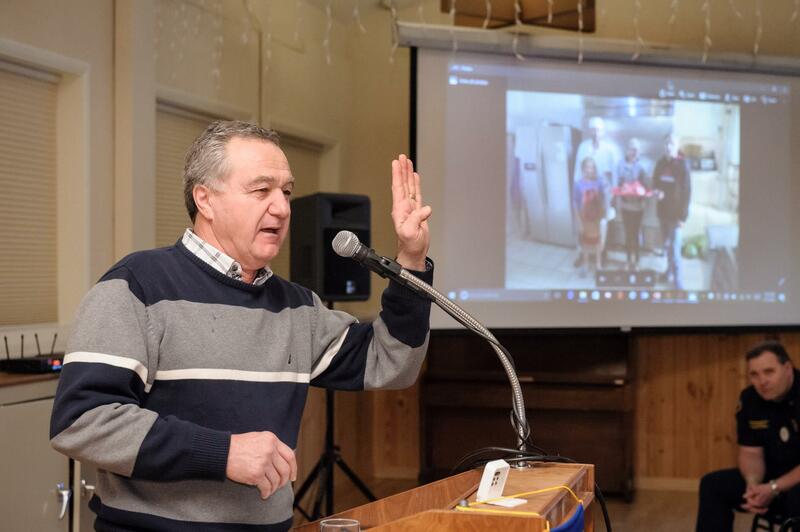 Behzad told about his adventure with getting a commercial grade freezer, donated in part by Rotary and Caring Clowns International, into the Ukraine for his project at a Ukrainian orphanage just as war was to break out. The project took 3 years, but once the freezer was in place, the orphanage kitchen was complete. The orphanage works to teach job skills to the residents in order to prepare them to enter society as adults. Behzad calls out this challenge: “I dare you to get involved in International, it will do something to your heart.” Thumbs up to you, Behzad!